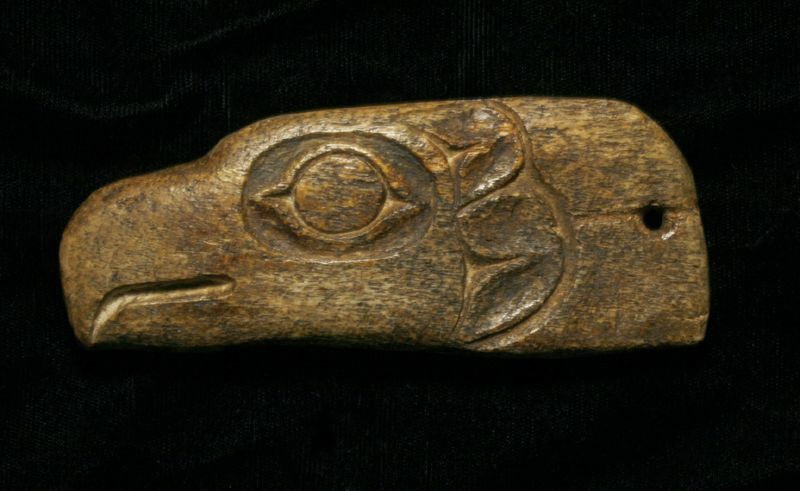 NA-3801 A SUPERBLY CARVED BONE SHAMAN'S AMULET DEPICTING AN EAGLE'S HEAD CIRCA MID-19TH CENTURY. Northern Northwest Coast, Tlingit or Haida, Alaska or Northern British Columbia. Provenance: Formerly in the Berthusen Collection of Northwest Coast Art, deaccessioned from the Lynden, Pioneer Museum, Lynden, Washington.